Italy's has a well-deserved reputation for quality and nowhere more so than in Rome's shops, studios and specialist boutiques. Major brands are well represented but it's the bespoke leather goods, clothes, accessories and food that present the best value for money. Via Condotti is where all the big-name designers have their shops. For smaller, independent boutiques try Via del Boschetto, Via del Pellegrino and Via dei Governo Vecchio. For mainstream labels and chains, focus your energies on Via del Corso. Luxury goods to take home include assorted vinegar, truffles and olive oil. Castroni (Via Cola di Rienzo 196) sells plenty of Italy's regional culinary riches. Rome's largest flea market is the vast Porta Portese in Trastevere (Sunday 0700-1300) and is the place to pick up antique knick-knacks for a good price. The oldest and most famous food market is the Campo dei’Fiori (Monday to Saturday 0800-1300) for anything from fresh produce and fish to beautiful flowers. The oldest shopping mall in Rome is the Cinecittàdue Centro Commerciale (Viale Palmiro Togliatti 2, www.cinecittadue.com). It has everything an eager shopper would want, from perfume shops to children's toy stores. Rome's biggest shopping centre, Euroma2 (Viale dell'Oceano Pacifico 83, www.euroma2.it), boasts with 230 shops. Shops in Rome are open Monday to Saturday from 0900-1300 and 1600-2000. Supermarkets and department stores stay open all day, and are open on Sundays. 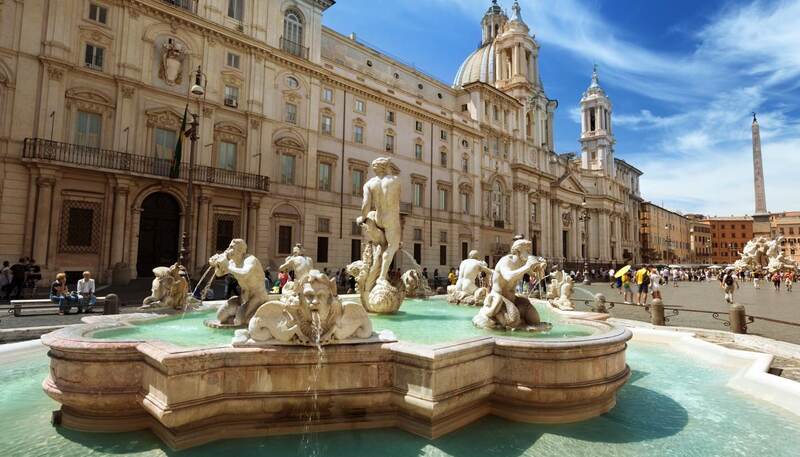 Roman souvenirs range far and wide; stop in any local shop and peruse the local leather goods, from handbags to boots, or pick up a hand-carved rosary at the Vatican. The liqueur limoncello is a tasty reminder of the trip. 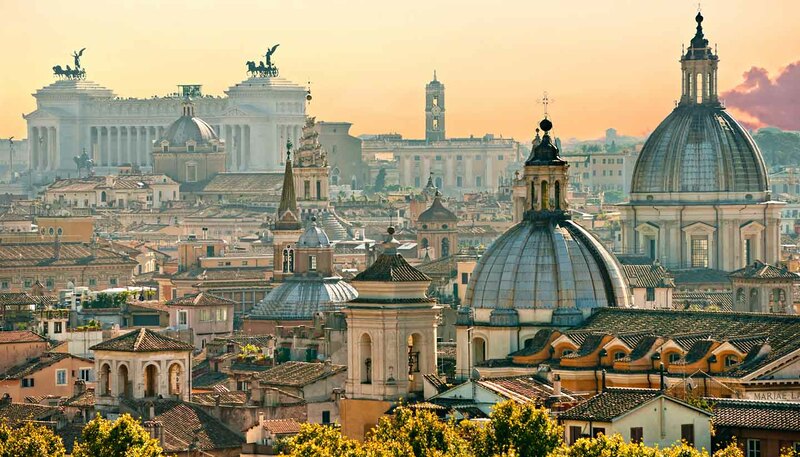 Value-added tax (IVA) of 22% is added to every purchase in Italy. If you are a non-EU resident and spend more than €155 on a single item then you can claim a refund when you leave the country. Only available from shops displaying a ‘tax free’ sign.